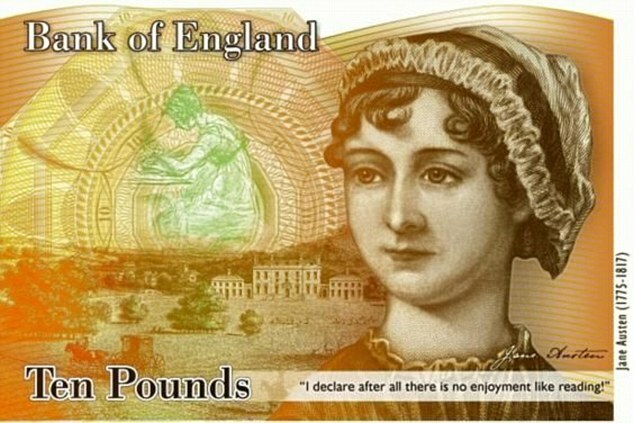 199 years ago today, a very special girl was born in the parish of Thornton near Bradford. 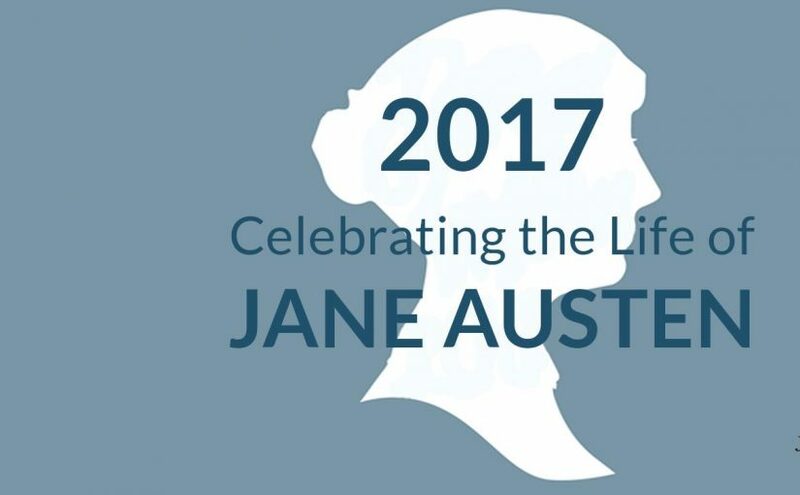 She was the fifth child of the parish priest and his Cornish wife, and as they looked down on their new baby they could little have guessed the impact she would have on the world of literature. She was no ordinary baby, she was Emily Jane Brontë. When you think of the impact that she has made on readers it’s astonishing to think that Emily Brontë wrote just one novel, the supremely powerful Wuthering Heights before being struck down by tuberculosis aged just thirty. 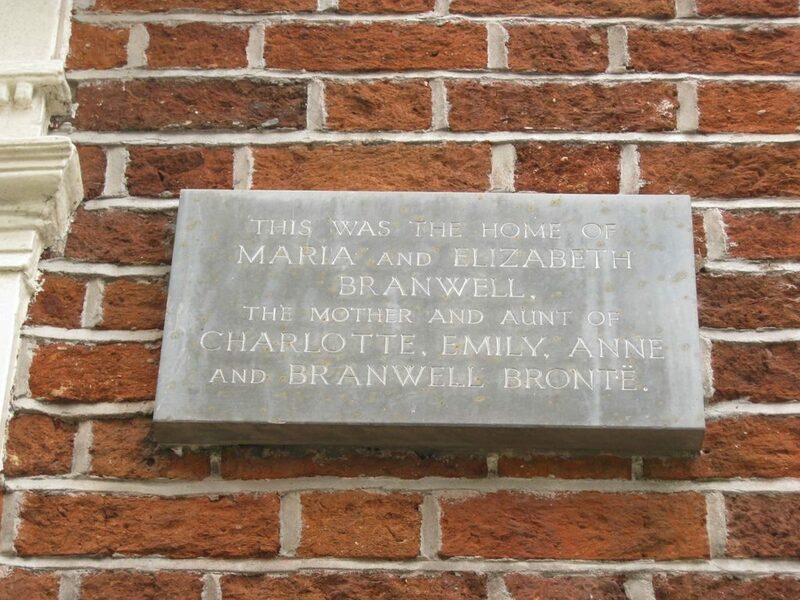 Less than two years after Emily’s own birth she gained a younger sister in the form of Anne Brontë and just a few months later the family would move to a new parish, the nearby village of Haworth. Emily lost her mother Maria when she was just three years old. She and Anne being the youngest in the family, they clung to each other for comfort and support throughout their childhood and into their adult lives. 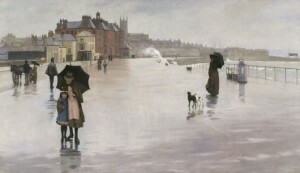 Both girls were extremely shy, often hugging each other for comfort when in the company of strangers and hiding away together, and they shared many of the same interests: from walking the moors, to playing the piano, from looking after their ever expanding collection of pets to reading the exciting adventure stories of Walter Scott. It was Anne who took Emily’s place, although also suffering from shyness throughout her life she mastered it in a way that her elder sister never could. As children Emily and Anne wrote a vast array of poetry and prose about their imagined kingdom of Gondal, and soon the lines between Gondal reality and Haworth reality became blurred for Emily. She retreated further and further into her world of make belief, and was never happier than when alone on the moors – occasions that took on a spiritual and mystical aspect for her. 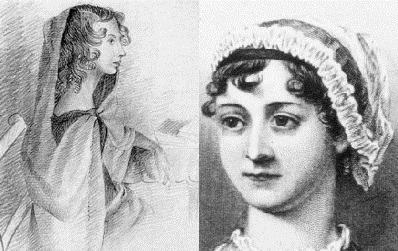 A terrible argument ensued as Charlotte tried to persuade Emily to have her poetry published, but her reserve was finally defeated when Anne and Charlotte agreed to contribute their poems as well. The result was ‘Poems by Currer, Ellis, and Acton Bell’. It sold only two copies, but the sisters had now got the writing bug and decided that for their next venture they would each attempt a prose volume that they could have published jointly. Charlotte’s contribution, ‘The Professor’, was rejected but Emily’s ‘Wuthering Heights’ and Anne’s ‘Agnes Grey’ were published together by Thomas Cautley Newby & Co in 1847. Emily was disdainful of literary success, and of the criticism that her novel received. It was as if she had lain pearls before swine, and she would not make that mistake again. 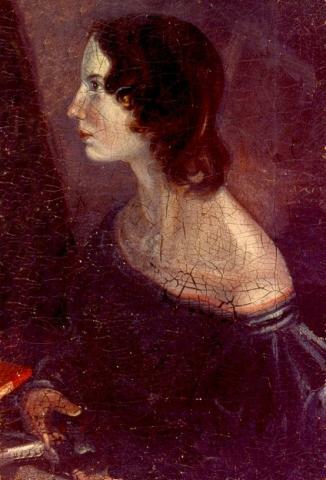 The publication of ‘Wuthering Heights’ marked the end of Emily’s writing life completely, with just one poem written subsequent to it; her prodigious output of poetry is amongst the best written in the English language, and often has a visionary quality that reveals to us the inner world Emily was living in. Outwardly calm and quiet, by the candlelight of nigh she would be visited by incredible and elating visions that would power and inform her writing. 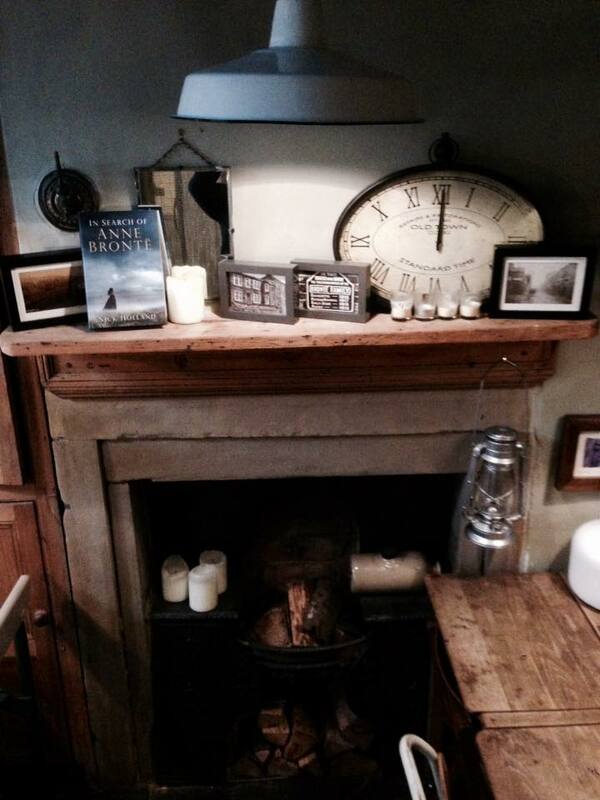 The portrait I bought at Haworth, 1989 – is it Emily Bronte or Anne? I personally have a lot to be thankful to Emily for. ‘Wuthering Heights’ was the first novel on my reading list at University, and within a few sentences I was hooked. 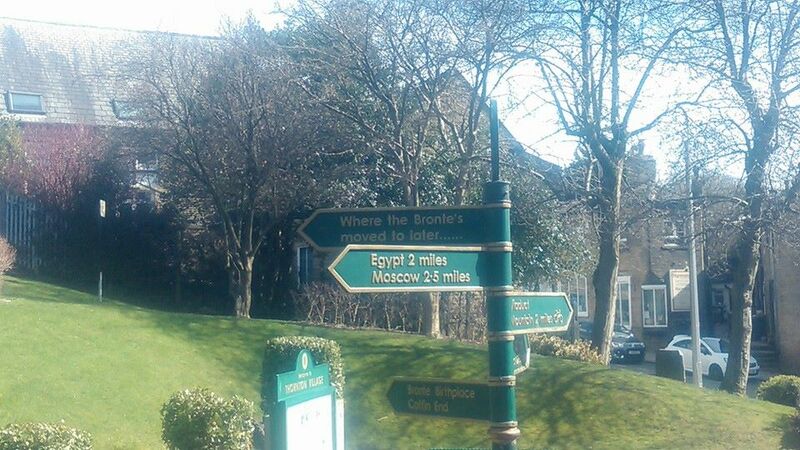 My love of the Brontës was formed, and it has brought untold joy into my life ever since. 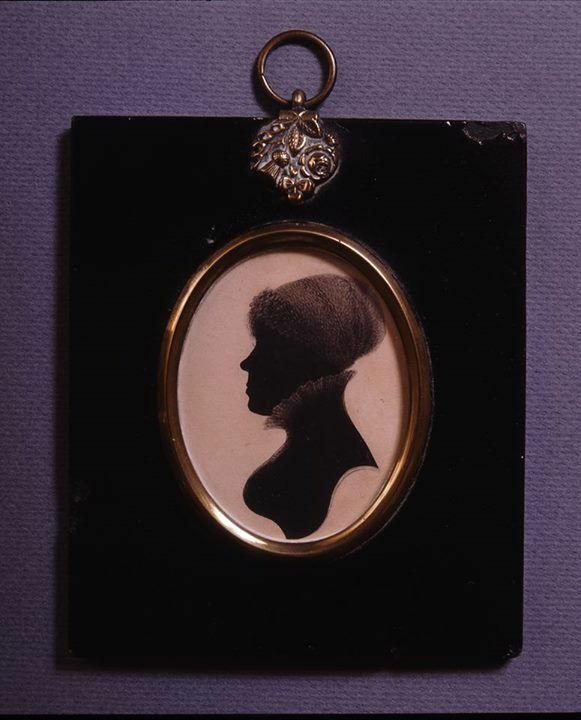 That very weekend I made my first journey to the Brontë Parsonage Museum at Haworth and bought a portrait claimed to be of Emily Brontë (although I now feel that it is actually of Anne); it hung on my wall as a student for three years. 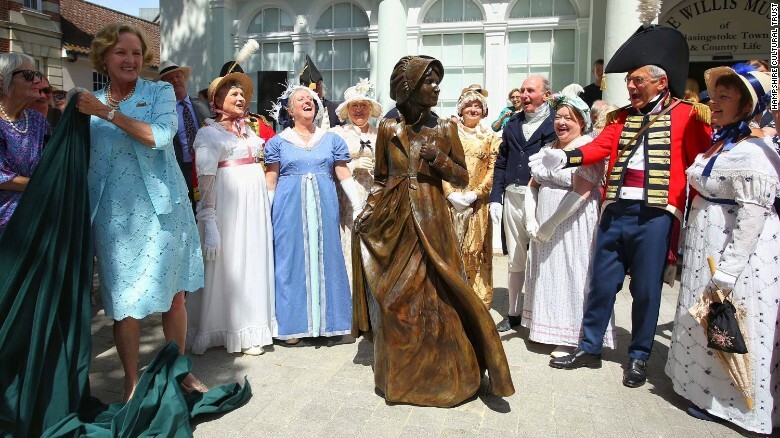 Next year will be a very special year indeed as we mark the 200th anniversary of Emily’s birth, and I’m proud that my biography of Emily will be released to mark the occasion. For now, we can all celebrate by reading some of Emily’s poetry, her astonishing novel, or watching a film version of ‘Wuthering Heights’ as we say ‘Happy 199th Birthday, Emily Brontë’! As the end of term approaches at schools across the UK, it has become customary for pupils to present their teachers with little presents, and quite right too. Teaching is one of the most important professions of them all – as Anne Brontë understood all too well. Many people know that Anne Brontë was a governess with the Ingham and Robinson families, but her time as a teacher is less well known. 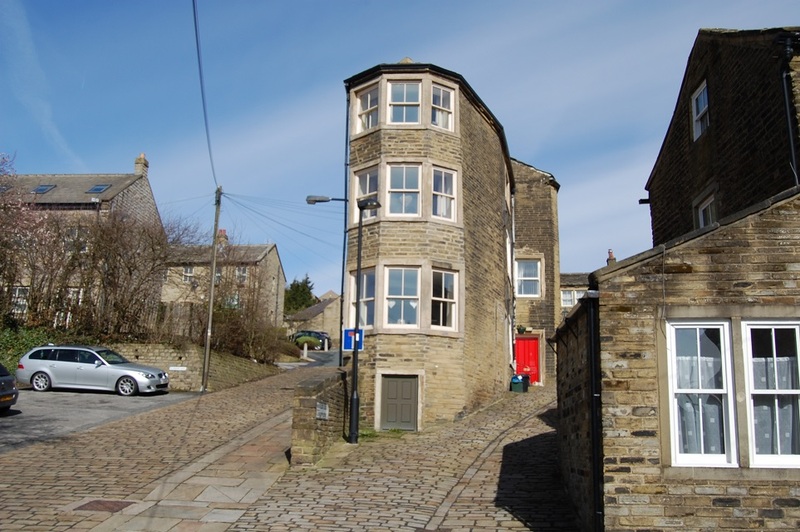 In fact, Anne was a popular, if reluctant, teacher from a young age and her classroom lay just a stones throw from the house she called home – Haworth Parsonage. Schooling in England wasn’t made compulsory until 1880, so before that time whether a child received an education was largely dependent upon their class and background. 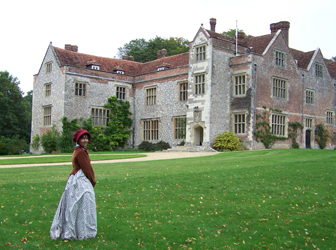 The upper classes had governesses, a profession well known to Anne and which she dissected in her brilliant first novel ‘Agnes Grey‘, and then finishing schools or private schools. The middle classes had access to schools if they could afford them, and the working class had no education at all unless it was provided by their local church in the form of a Sunday school. Educationally they were more than capable of carrying out the role. Anne was only twelve at this time, and yet thanks to the teaching of her father and aunt she was very learned in everything from art, music and needlework to composition, reading the scriptures, arithmetic, geography and even languages. It seems, indeed, that Anne was possibly the most gifted of them all from an intellectual point of view, and she was the only one of the children who became fluent in Latin. 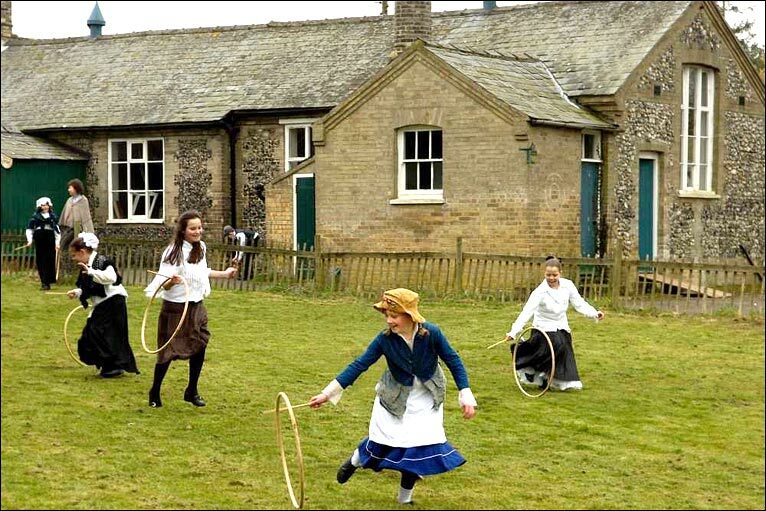 So, at just twelve years old, the young and very shy Anne, who preferred spending hours walking the moors in company with her beloved sister Emily to mixing with people outside of the family, found herself taking her turn teaching the village children. 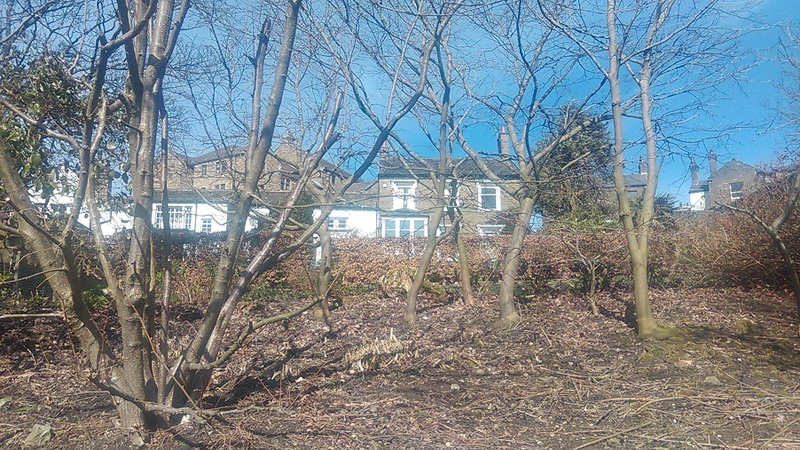 We also have the testimony of some of Anne’s former pupils at the Haworth school itself. One young boy by the name of Binns later recalled that he liked Anne best of all the teachers because she ‘looked the nicest and most serious like’. 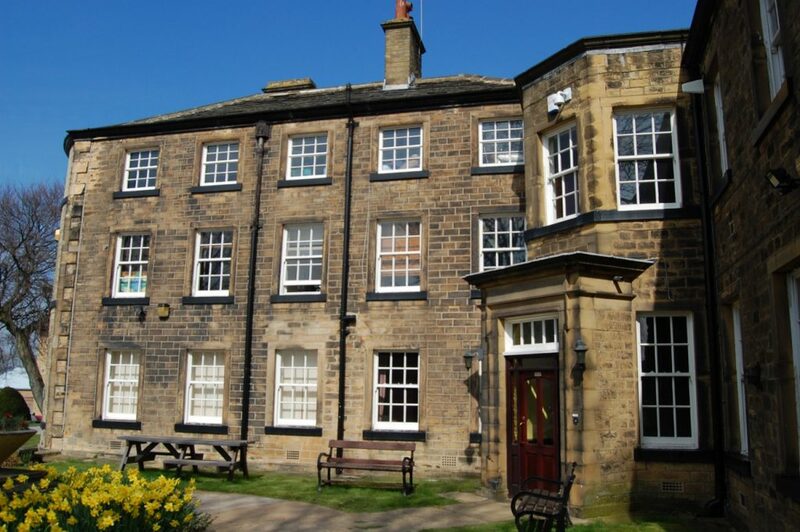 Anne was also a very popular teacher with the upper class Robinson children in later life, as shown by them gifting her Flossy the spaniel, and their correspondence with her and a visit to Anne in Haworth after she had finished her role as governess at Thorp Green Hall. 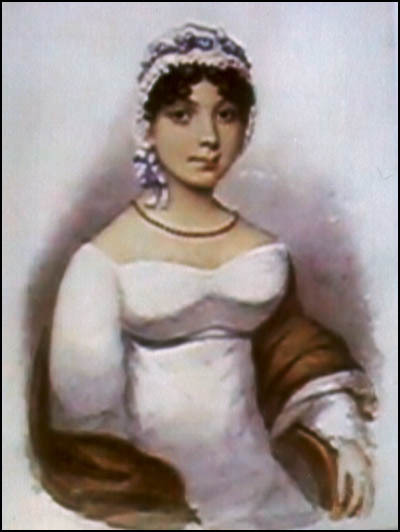 Despite her natural timidity Anne succeeded as a teacher, whether at Sunday school or as a private governess, because of her determination, her intellect, and above all her kindness which although hidden behind a veil of seriousness and propriety invariably led to people liking her. This is characteristic of Anne’s life as a whole: she would not allow her shyness to stop her achieving what she wanted to achieve; she would struggle against it, and eventually she would overcome. What became of the school itself? 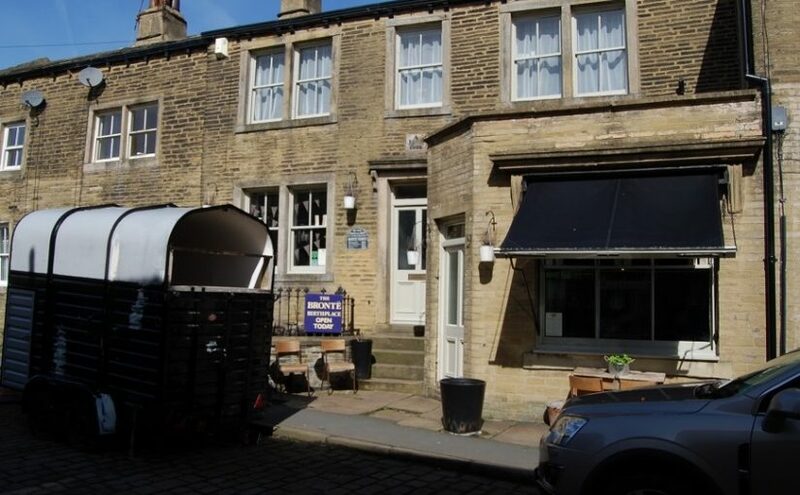 If you’ve been lucky enough to visit the Brontë Parsonage Museum in Haworth then you’re sure to have seen it: it’s the low, long building at a right angle to the Parsonage itself – that’s it at the top of this post. 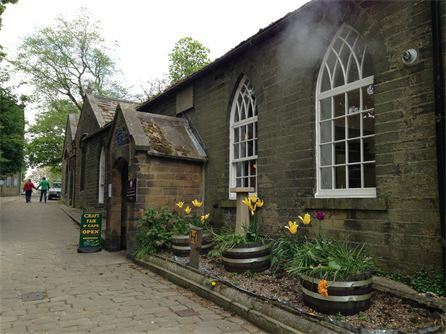 Now under new management and called ‘The Old School Rooms’, it is used for functions and events throughout the year. 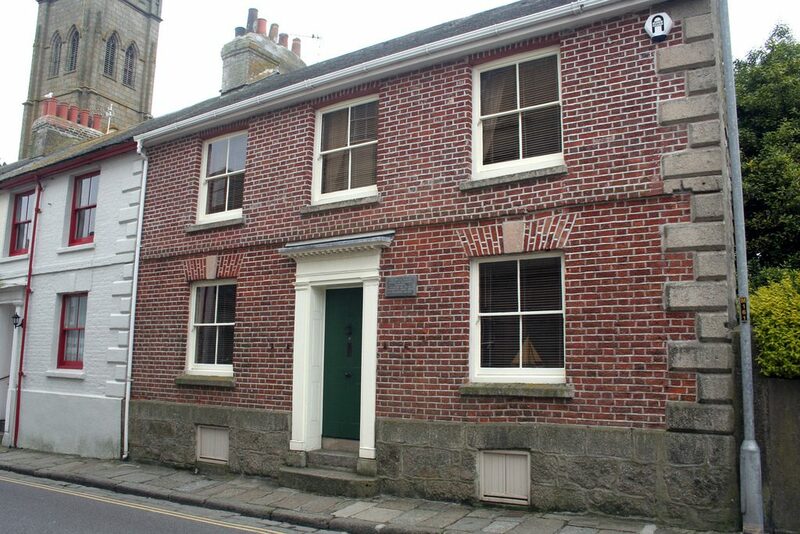 This is not a new role for the building, as it was after all the venue for Charlotte’s wedding reception in 1854. I was pleased to see that Anne isn’t forgotten inside the school. 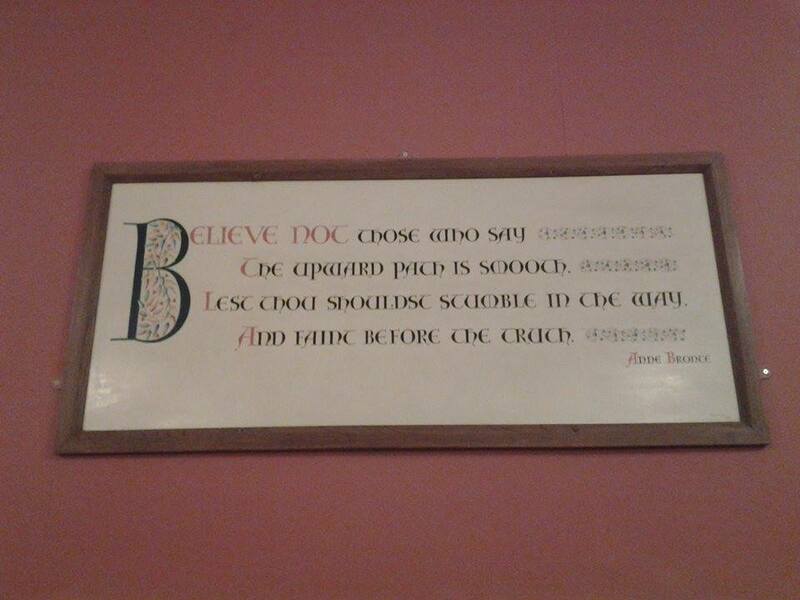 On a wall is this beautifully hand crafted and painted wooden plaque, containing words from Anne’s poem of faith ‘The Narrow Way’, itself often used as a hymn today. A fitting and lasting tribute to the woman who went from being a shy young girl to a popular and well respected Sunday school teacher. If you’re thinking of buying a present for your child’s teacher this summer, then I can think of a perfect gift: ‘Agnes Grey’ by our dear Anne Brontë .